Perhaps the most famous of all Siberian Huskies. In 1925 Nome Alaska was on the verge of a Diptheria epidemic, and life saving serum was needed to save the town and surrounding communities. 150 sled dogs relayed this precious package almost 700 miles Nome in Alaska’s north-west, and leading the final leg was Balto, a Siberian Husky sled dog. 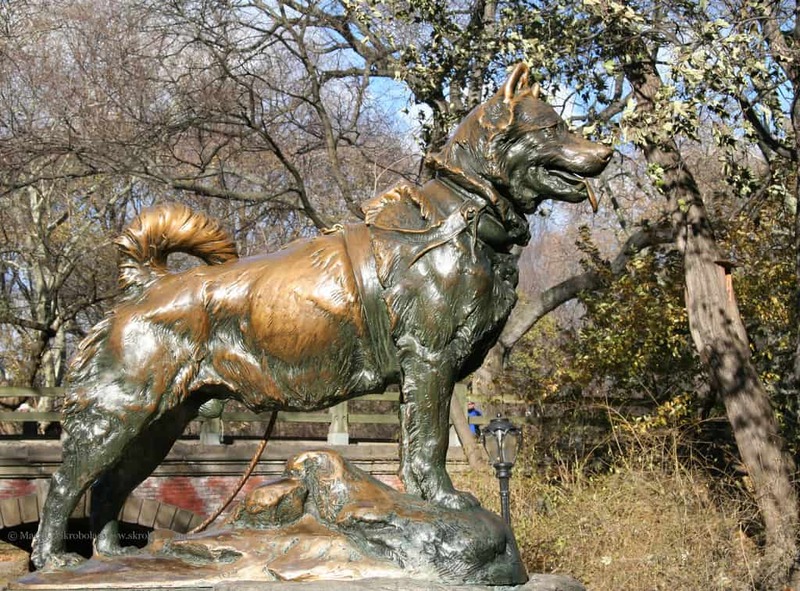 The success of the expedition made Balto a celebrity of sorts, and just one year later a statue of Balto was erected in New York’s Central Park. In 1995 the movie Balto was released as a children’s animation. Often forgotten but no less important than Balto, was Togo. Togo led the serum run out of Nome to Shaktoolik to pick up the serum, then led the first leg back towards Nome. Many regard Togo as the real hero – leading the longest and most dangerous parts of the adventure. Reportedly the strongest Siberian Husky of all time, and possibly the strongest dog of all time when it comes to endurance. Charlie was able to pull a 3100 pound sledge in 1963. The Alaskan Malamutes and Siberian Huskies from the 2006 movie Eight Below. 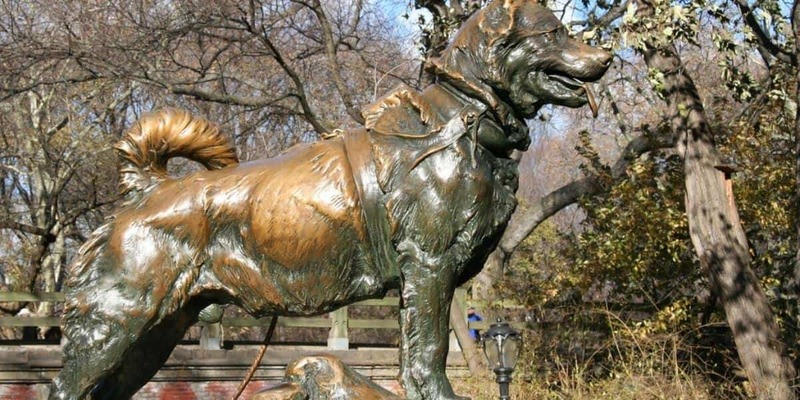 The Huskies were named Max, Maya, Truman, Dewey, Shorty, and Old Jack. “Dief” Diefenbaker from the 90s TV series Due South. Exile, the animated Siberian Husky from Russia that starred in the cartoon Road Rovers. Yukon King the fictional Husky from Challenge of the Yukon radio and television shows from 1938 to 1955. There you go – a handful names of famous Huskies to choose from. If you think we have missed a famous Husky please get in contact with us so we can add it to this list! Balto image courtesy of Mark Skrobola and Flickr, licensed under Creative Commons.